This research study was conducted at several residential juvenile offender facilities housing youth adjudicated for both sexual and non-sexual offenses in Florida, USA. 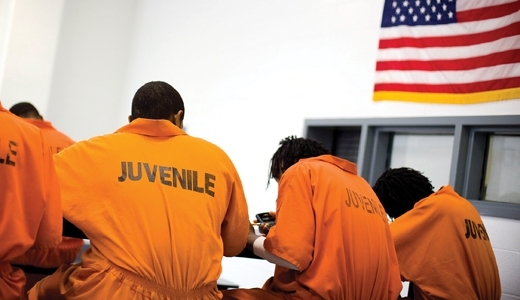 It is intended to increase our understanding of factors that predict which youth will re-offend (generally, violently, and sexually) upon re-entry into the community. This study focused particularly on youth possessing callous-uncaring (CU) personality traits, such as lack of appropriate empathy and guilt. CU traits distinguish a subgroup of youth with conduct problems who tend to begin offending at an early age and continue offending through adolescence and into adulthood. These youth typically exhibit deficits in appropriate emotional responding to distressful stimuli. In this study, empathy is measured using the Emotional Pictures Dot Probe task, during which the youth views pictures of other people in distress. The current research, by determining the utility of the dot probe task as a novel risk factor for re-offense in a juvenile justice population, is intended to improve the accuracy of pre-release risk assessment. The findings are intended to help mental health professionals target high-risk youth for interventions before they cycle back into the justice system. We are currently recruiting highly motivated, reliable, hard-working second and third year Psychology students to fill volunteer research assistant positions. If you are interested in gaining research experience and want to find out more information please contact us.